Mentions: Show 8pm. FREE!!! 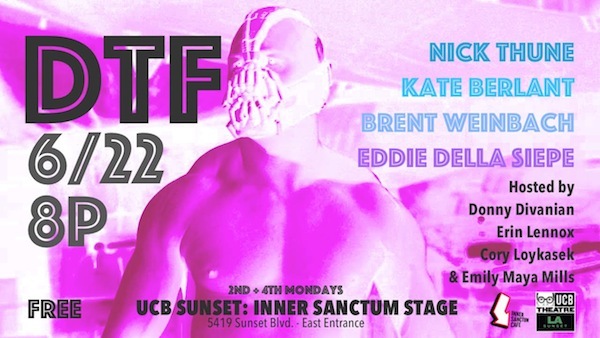 The UCB Inner Sanctum (stage off of the cafe) is located at 5419 W Sunset Blvd., Los Angeles.